So you want a roofer that can supply you with residential or commercial roofing in Seguin, TX? ECO Commercial Roofing can help you with each of your roofing service requirements, so give us a call at (833) 200-0571. Customer service is a primary objective of ours, and we can supply you with almost any kind of roofing assistance you might need. We’ve been business and residential roofers in the Seguin area for decades, and our professionals are established members of our community. Our helpful contractors can provide a selection of solutions for your roof needs, as well as answer any inquiries you may have. For professional, kind, and helpful roofers, you can always count on ECO Commercial Roofing! When it comes to services for your home or business, a reliable contractor is a essential asset. We make sure that all of our roofers are trained to the industry standards, and we only buy materials from contractors we can trust, like Conklin. Since the type of roof you install can alter the value of your building for years to come, we are sure to carry large varieties of materials and styles for you to choose from. As far as benefits, be sure to consider the resiliency and the benefits with the same scrutiny that you pick the aesthetics. Your budget will also be a deciding factor, in addition to the kind of building the roof will be installed on. We have tons of quality options to choose from. We’re glad to help you with any and all of your roof needs, from repairs to installations, and everything in between. Whether you want assistance with a commercial project, an industrial one, or a residential one, we can assist you! Typically oriented towards flat roofs and low slope roofs, our commercial services are the ideal choice for most business owners. 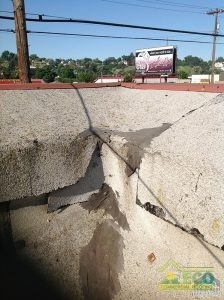 Ponding and leaks are both common with flat roofs, but an expert installation is the initial step in completely avoiding problems like those. Industrial roofs, while similar to commercial roofs, actually need stronger materials, as well as highly skilled installation to guarantee longevity. Finally, we additionally offer reliable and affordable residential roofing services in a wide variety of styles. As contractors that specialize in roof restoration, we know more than a few techniques to handle roof coatings. In our expertise, utilizing top quality materials like Conklin can truly make the difference between a roof coating that lasts, and one that does not. If you need improved roofing in Seguin, TX, you can depend on us to provide you with unmatched craftsmanship, and top quality services. Contact our professionals at (833) 200-0571 if you’d like to learn more about our roof restorations, and the perks of Conklin roof coatings! Roof restoration is an excellent way to improve the majority of the surface of your roof, while also preventing future damage. Your building’s roof can continue to server for an additional decade with the assistance of one of our Conklin roof treatments. If you pick a roof restoration service in lieu of a roof replacement, you’ll earn savings in both time and money! 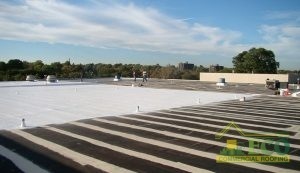 The majority of our roof restorations are completed utilizing Conklin’s high quality roof coating products. You can rely on our roofers to help you decide which of our several roof coating options will work ideally for your requirements. When picking a roof coating, we consider the original material of the roof, as well as the kinds of damages that roofing might be vulnerable to. The bulk of roof coatings can even apply directly on top of your installed roof! Dial (833) 200-0571 to speak with a roof professional about your roof coating options. Acrylic Roofing Fluctuating temperatures need your building’s roof to expand and shrink, and acrylic is properly suited for frequent adjustments. Elastomeric Roofing Elastomeric roof coatings come in a variety of types, and are the affordable way to defend your roof. As commercial roof contractors, we are capable of servicing a variety of roof types, including the common flat roof and low-slope roof varieties. Keep in mind that your first line of defense against leaks and premature roof failure is a reliable and professional installation. If you’re searching for a flat roofing option that will endure for years, you have come to the right company. Contact ECO Commercial Roofing when you need residential or commercial roofing service you can count on to protect your roof system for decades. We don’t only offer our professional roofing in Seguin, TX, but also in the nearby areas. An investment in a fortified roof system is an investment in your business that you won’t regret! To discover how we can serve you best, give us a ring at (833) 200-0571 and set up your professional roofing assessment now!